University of Texas researchers are conducting a new survey in affected areas as the General Land Office prepares to disburse billions in federal disaster recovery funds. Jeremy Boutor at his flood-damaged rental home in one of the neighborhoods flooded in Addicks Reservoir in Houston on Tuesday, Sept. 12, 2017. More than nine months after Hurricane Harvey devastated homes in nearly 50 Texas counties, the state agency charged with overseeing the largest housing recovery in American history is trying to gauge how much devastation remains. 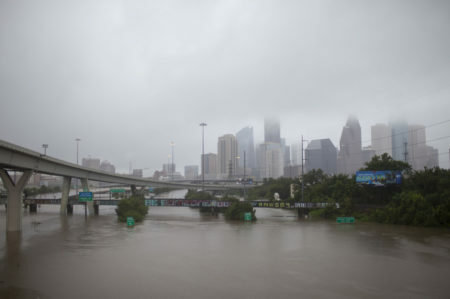 The General Land Office is teaming with University of Texas at Austin researchers to survey Texans in the dozens of counties declared disaster areas after the storm slammed ashore and inundated several cities with historic floods. Among the questions they’re asking: Whether Harvey victims are still displaced from their homes and how much damage to their homes has yet to be fixed. The survey comes just as this year’s hurricane season begins and officials across a wide swath of the state prepare to spend billions in U.S. Housing and Urban Development disaster relief funds on long-term recovery projects, which will include rebuilding Texans’ homes. “We want to make sure we are using continuously updated information,” said GLO spokeswoman Brittany Eck. More than 890,000 families applied for Federal Emergency Management Agency disaster relief aid in the months immediately after the storm. And while the information in those applications — and subsequent FEMA inspections — provide a glimpse into the level of devastation, it doesn’t tell the full story of how badly Harvey damaged Texans’ homes. That’s because FEMA is charged with immediate and short-term responses to disasters, not long-term recovery efforts that usually take several years after major storms like Harvey. And because no single state or federal agency tracks that information, the exact level of destruction the storm wrought is not known. UT researchers aren’t trying to reach every household with the online survey and phone calls to Texans in the affected areas, so the new survey won’t fill in all the gaps. Instead, the university’s Bureau of Business Research is aiming to obtain a large enough sample size in each county to determine the collective level of remaining damage and housing needs. The surveyors are also asking respondents which GLO housing recovery programs would best serve their housing needs, according to research scientist Matt Kammer-Kerwick. “So we’re testing the affinity of community members in these different counties to the different housing options that the GLO is interested in providing,” he said. Gov. 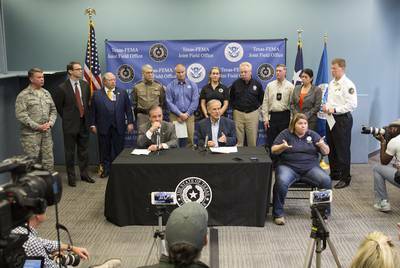 Greg Abbott, Texas A&M Chancellor John Sharp (head of the Governor’s Commission to Rebuild Texas) and leaders of several state agencies give an update on Harvey recovery efforts at the FEMA Joint Field Office in Austin on Sept. 14, 2017. While state agencies like the GLO typically oversee long-term recovery efforts after disasters, Gov. 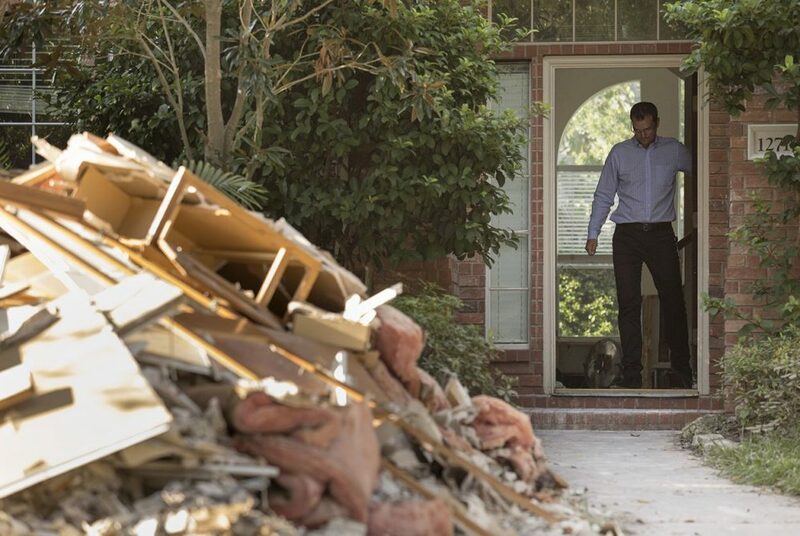 Greg Abbott and FEMA last year also tapped the agency to handle short-term housing recovery. 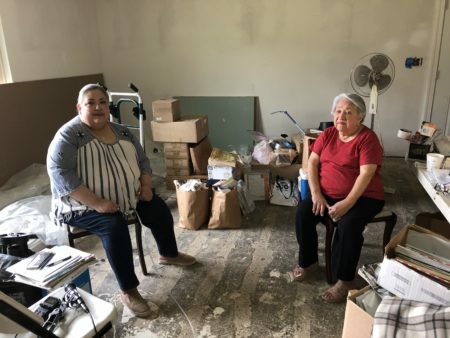 It was billed as a way to revinent disaster response in America, but a Texas Tribune investigation found that reinventing the recovery playbook slowed federal and state responses in ways that left an unknown number of Texans living in limbo for months after the storm. 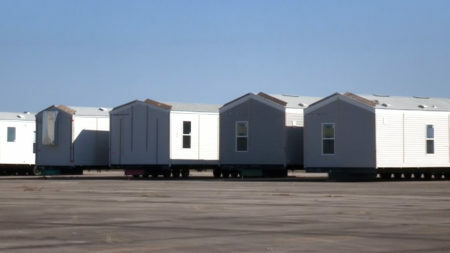 Texas is so far set to receive more than $10 billion in federal money for long-term housing recovery. While that money is approved by Congress and the GLO will oversee it, the money will be disbursed by Houston, Harris County and several regional planning organizations in the impacted areas. Eck, the GLO spokeswoman, said results from the survey will help state and local officials tailor recovery plans to better use limited federal resources. The GLO has submitted its plans for more than $5 billion in expected funds to HUD and is awaiting approval of their plan. She said the state agency intentionally waited until now to survey residents so the money is spent based on Texans’ current needs. “If you do it too far in advance, the survey may no longer be relevant,” she said. From Trailers To Tents: What Happens To Leftover Aid Supplies?